When planning the menu for the Cheesecake Extravaganza, I tried to make sure I could serve most everything in small portions. Cheesecake isn't exactly the lightest dessert, and I wanted people to be able to try more than one thing without feeling the need to unbutton their pants! 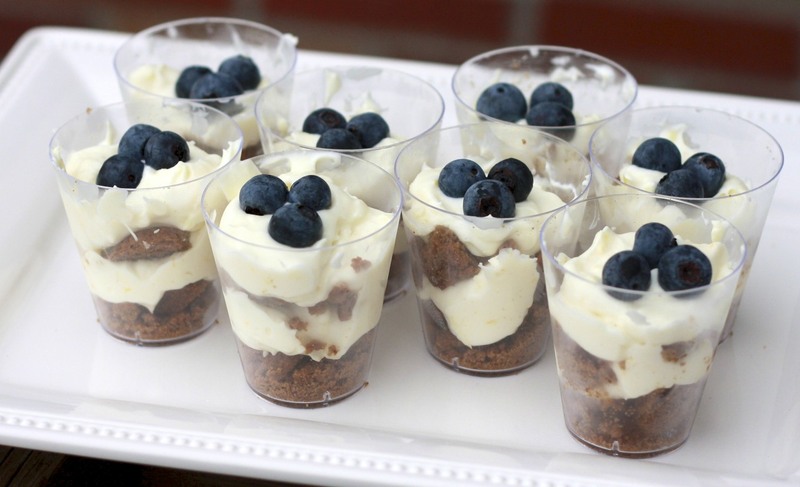 I came up with these cheesecake parfaits which allowed for a tiny taste but still included all of the elements of a traditional cheesecake (crust, filling, & topping). These turned out even better than I hoped. I really liked the flavor combination of lemon, gingersnaps, and blueberries, but you could definitely change it up to your liking. Chocolate and peanut butter, chocolate and raspberry, orange and cranberry, coconut and chocolate...I think it's time I make these again and try out some other variations! Make these for a party, a shower, or a gathering where you want to offer more than one dessert. 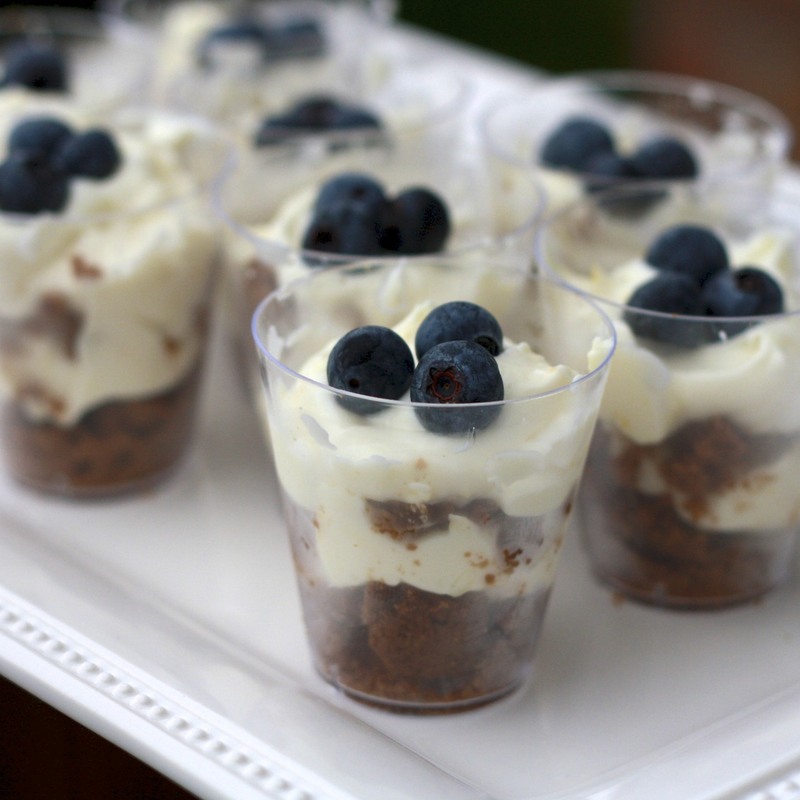 Guests will be thankful for the little bite of cheesecake in addition to whatever else you plan to serve (or, make a variety of flavors to serve so that guests can try one of each!). 1. In the bowl of a stand mixer, beat cream cheese until smooth. Add heavy cream, powder sugar, and vanilla extract and beat until smooth and creamy. Beat in lemon juice and zest from 2 lemons. 2. In mini shot glasses, place a pinch of gingersnap crumbles. Top with a dollop of cream cheese mixture. Repeat layers. Finish with a sprinkle of blueberries.